Copyright © 2017 IMS Global Learning Consortium. All Rights Reserved. Public contributions, comments and questions can be posted here: www.imsglobal.org/forums/ims-glc-public-forums-and-resources. © 2017 IMS Global Learning Consortium, Inc. The Competencies and Academic Standards Exchange (CASE) specification defines how systems exchange and manage information about learning standards and/or competencies in a consistent and referenceable way. The key aim is to replace the current ways of documenting and referencing learning standards and competencies, which are typically published as a PDF or HTML document intended to be read by humans, by one which is also machine readable both syntactically and semantically. This allows for "Common Alignments" for content and referenceable unique identifiers for use in certificates and transcripts. Further, using this new specification it will be possible to electronically exchange these definitions so that applications, systems and tools can readily access and manage this data. This includes LMSs, Assessment tools, Curriculum Management applications, certificate and competency based evaluation systems and any other tool, process or content that would need to align to or reference a competency or framework. This document begins with an explanation of assumptions and key definitions and then provides examples of using the endpoints. The scenarios address each class within the specification. The In-Depth Best Practices more fully explain and provide examples of this specification in use. The Competencies and Academic Standards Exchange (CASE)'s Task Force mission is to create a globally adopted technical specification and support shared tools within IMS Global community, that will enable trusted agents to manage and publish Academic Standards and Competency Framework Documents/Packages and educators, LMSs, and assessment providers to manage and use Competency Frameworks to align learning to standard outcomes (aka Competency Framework Items or CF Items) . [CASE, 17a] IMS Competencies and Academic Standards Exchange (CASE) Service v1.0 Final Specification, G.Nadeau, R.Grogan, C.Smythe and J.Hobson, IMS Global Learning Consortium Inc., July 2017, http://www.imsglobal.org/case/casev1p0/imscaseservice_infomodelv1p0.html. [CASE, 17b] IMS Competencies and Academic Standards Exchange (CASE) Service v1.0 REST/JSON Binding Final Specification, G.Nadeau, R.Grogan, C.Smythe and J.Hobson, IMS Global Learning Consortium Inc., July 2017, http://www.imsglobal.org/case/casev1p0/imscaseservice_restbingv1p0.html. [CASE, 17c] IMS Competencies and Academic Standards Exchange (CASE) v1.0 Conformance and Certification Final Specification, G.Nadeau, R.Grogan, J.Hobson and C.Smythe, IMS Global Learning Consortium Inc., July 2017, http://www.imsglobal.org/case/casev1p0/caseservicev1p0_conformancev1p0.html. Appendix B List of Endpoints The listing of CASE endpoints. Historically, education was restricted to a few people, scheduled at specific ages, confined to particular places, designed around specific topics, and assessed in common ways. Today, educational technology has helped enrich these practices; with more people learning about more things and in more ways than ever before. Yet, educators are challenged to orchestrate their programming across technologies due to restrictions in the exchange of curricular and instructional information. The CASE specification instantiates a reliable way to exchange such information amongst conformant tools. 1. Context. Globally, educators are focusing on student learning outcomes. In the US, states are required by Federal statute to publish and update K-12 academic standards documents. Increasingly, higher education institutions are incorporating competency frameworks in their curricula and the relationships between courses, course modules and competencies require exchange between institutional systems. More generally, education and human capital standard setting entities of all types publish competency frameworks in multiple formats. It is the expectation that these standards be used to develop courses of study and to which curriculum materials and assessments will be aligned. 2. Competency frameworks are published in html/pdf/print for humans. When a framework is adopted and published, it is typically published as pdf or html and need to be translated by 3rd party entities to be used by assessment, content, and learning management systems. Typically these documents include some form of outline or table structure and include some type of grade or level banded human coding scheme to reference a specific skill, domain or standard. 3. Derivative frameworks. The use of human-focused documents and coding schemes creates inconsistency when referencing or aligning to frameworks. These problems are greatly exacerbated by questionable versioning and by the need of school districts, vendors, and individual educators to create derivative frameworks that group, unpack, and extend the original documents to support instruction and assessment. 4. A technical standard is needed. These translations do not have a standard technical format nor consistent identifiers. Without a suitable standard, it becomes impossible to align learning resources to competencies or academic standards so they can be more easily discovered and aligned with competency-based assessment results. This has been referred to as the "Common Alignment Problem." 5. Inconsistent terminology. Many educational technologies are highly developed to support the terminology of their customers' specific use case. For example, one tool may characterize their work in relation to 'objectives' and another as 'goals'. A key assumption of CASE is that these terminology differences can be a codified as a property of a statement and valuably exchanged amongst conformant tools. 6. Scope of this specification. What is needed is a standard technical specification and shared technical solution that enables trusted entities to publish Competency Framework Packages that parse learning standard documents (CF Docs) into network resolvable learning standard items (CF Items) that can be associated via hierarchy, progression, and derivation (CF Associations) and used to enable the creation of Derivative Frameworks while maintaining the ability to affect Common Alignments. 7. Global P-20+ impact of this specification. While the needs of primary education drove much of the work, the intent of the spec and of primary education is to prepare students for secondary education, postsecondary and career, as well as professional growth thereafter. Competency-based education programs often use multiple tools to assess students and a common specification for exchanging competency frameworks and rubrics is needed. Moreover, most all educational providers are seeking evidence of student learning outcomes. 8. Employers. Increasingly, employers need to exchange CF Items across technical systems to manage job applicants, document performance reviews, support performance management, and share career achievements. 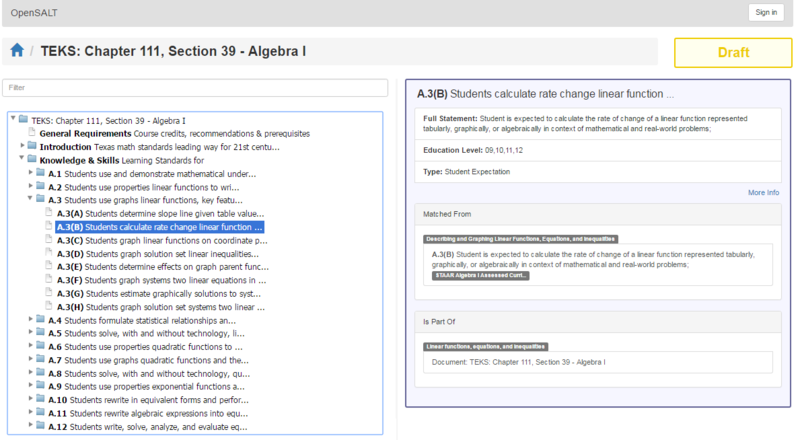 The CASE specification assumes the exchanges supporting instructional and curricular management in educational settings will support similar employer use cases and facilitate future system integrations, such as via extended transcripts. Any entity (education agency, higher education institution, workforce cluster, education service provider, or individual educator) that sets learning, achievement, or competency standards or targets. A representation of the major information, entities, and relationships that exist in the world, without attributes and with relationships shown as one-to-one only. Based on the information, entities, and relationships in the conceptual data model, this is a system-agnostic representation that contains attributes, shows cardinality, and uses the commonly-used names for all entities. A single source, often the pdf or html that represents the policy approved. A set of CF Doc, CF Items, and CF Associations released by a standard setting entity, publisher, institution or other. A document that acts as a container for a collection of learning standard items, typically arranged in a hierarchical structure or classification scheme, reflecting expectations of learner competencies within a single subject area covering one or more levels. Content that either describes a specific competency (learning objective) or describes a grouping of competencies within the taxonomy of a Learning Standards Document. Educational standards are the learning goals for what students should know and be able to do at each grade level. Education standards, like Common Core, are not a curriculum. Local communities and educators choose their own curriculum, which is a detailed plan for day to day teaching. In other words, the learning standards are what students need to know and be able to do, and curriculum is how students will learn it. Exact Match Of Source, Is Related To, Is Part Of, Replaced By, Precedes, and Prerequisite. 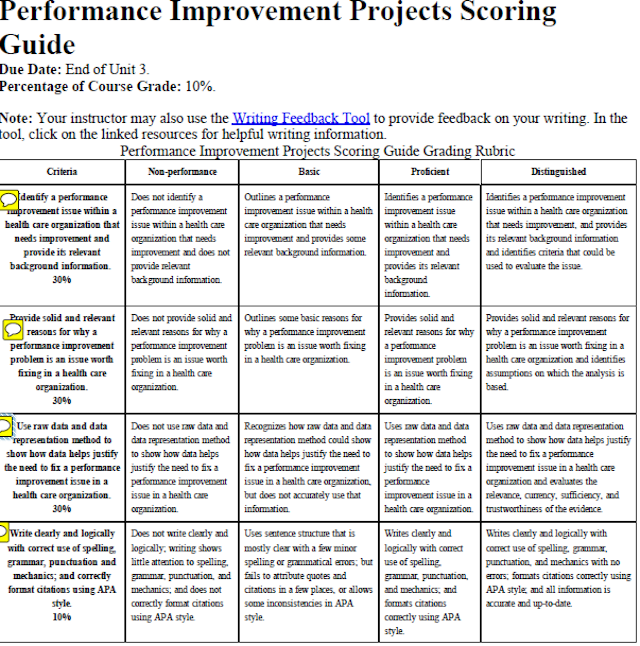 An entity that includes information about an instrument used to communicate expectations of quality around a task, product, or performance and/or used to delineate consistent criteria for grading. The conceptual model shows the relationship between a CF Doc and a taxonomy of CF Items. Relationships within a CF Doc such as parent/child relationships other relationships are expressed through the CF Association and CF Association Types. This enables a package to be created with all CF Items properly associated with an CF Doc. Additional CF Association Types are used to model the relationships both between CF Items in a particular CF Doc and other CF Packages. The same association types can be used to model the relationships within IMS Global's Extended Transcripts and CF docs. Key Insight. The key insight to this specification, which distinguishes it from the core element definitions that were used from CEDS , is the recognition and modeling of the relationship between source and derivative Competency Frameworks. Particularly in the United States primary and secondary education, there is a multi-layer, complex taxonomy of education agencies interacting with a marketplace of vendors, each with overlapping layers of authority and organization. A Competency Framework may not exist in a vacuum. Data representing the relationship between these entities is often as important as the Competency Framework itself. SBAC has created a taxonomy of Claims and Targets that has a known and important relationship to the Common Core State Standards (CCSS) . 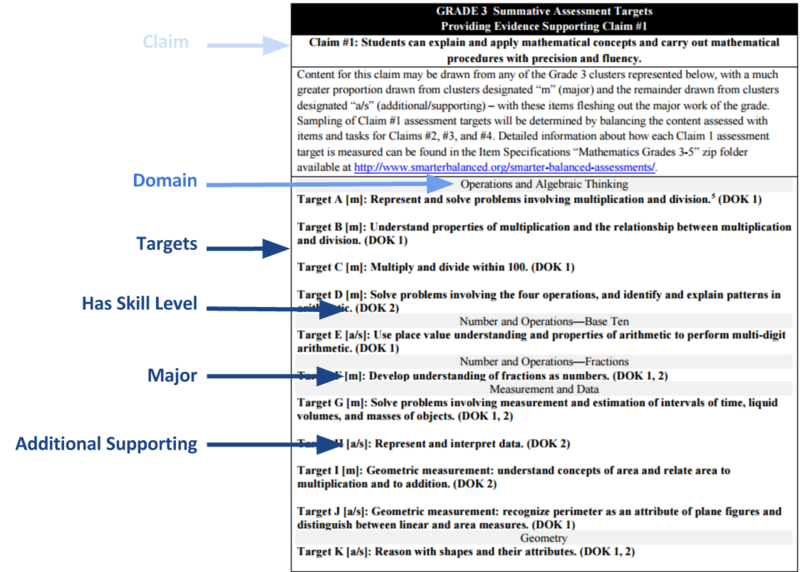 In order for content that has been tagged to the CCSS to avoid costly re-tagging to SBAC's Content Specification Claims and Targets, the relationship between each SBAC Learning Target and CCSS Statement must be preserved. A second example comes to us from IMS Global Member Houston Independent School District (HISD). HISD receives assessment results from data multiple sources. At the same time, HISD has adopted content which has been ingested into a Learning Management System via Common Cartridge. 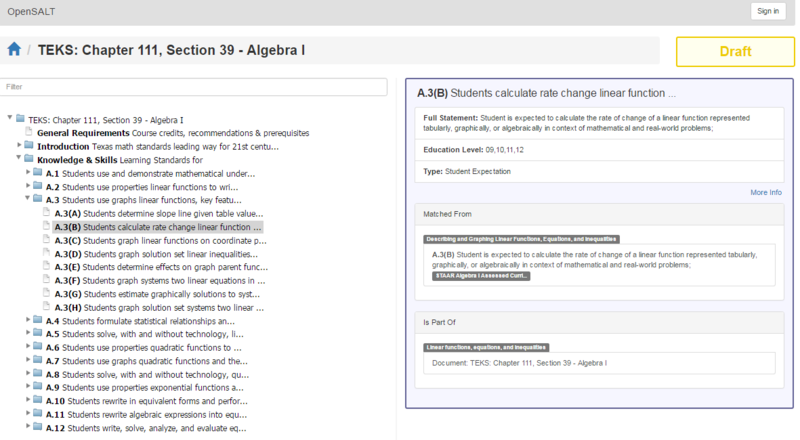 To use a tool to connect student assessment results to appropriate content. Equivalent to, for purpose of mapping. Used to connect derived CF Item to CF Item in original source CGF Doc (e.g. Common Core State Standards). 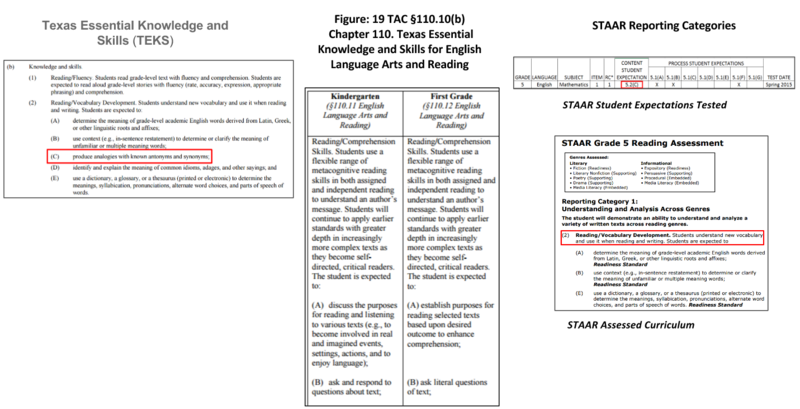 In the example below, TEKS Student Expectation in Algebra 1 A.3(B) is an Exact Match of the same statement in the State of Texas Assessments of Academic Readiness (STAAR), which is the state's student testing program, Algebra 1 Assessed Curriculum Guide. The origin of the association is related to the destination in some way that is not better described by another association type. In the example below, the each grade specific standard Is Child Of the Anchor Standard node above it and Is Related To the general Anchor Standard statement that spans all grades. The destination of this association is understood to define a given skill level i.e. Reading Lexile 100, Depth Knowledge 2, or Cognitive Level (Blooms Taxonomy) etc. The example below shows how Norm Webb Depth of Knowledge (DOK) Has Skill Level association to Learning Targets. The destination of the association is a learning resource (or any "thing" such as a URL, file or reference to a physical tangible thing) that exemplifies this standard. In this case, the destination need not be another item, but can be any URL that points to the resource in question. In the example below, Talking to Text and Book Club Discussions are Exemplars of the learning standard. The origin of the association has been supplanted by, displaced by, or superseded by the destination of the association. The CASE logical model is described in the CASE Service v1.0 Final Document [CASE, 17a]. The CASE specification allows providers of learning standards, competencies and rubrics data to make Competency Framework data available to service consumers. Getting started as a Consumer with CASE begins with accessing a service provider URI endpoint. The endpoints are discussed in detail in Section 5. The CFPackage payload will include all the information a consumer would need ingest the standards metadata and create relationships via CFAssociations. 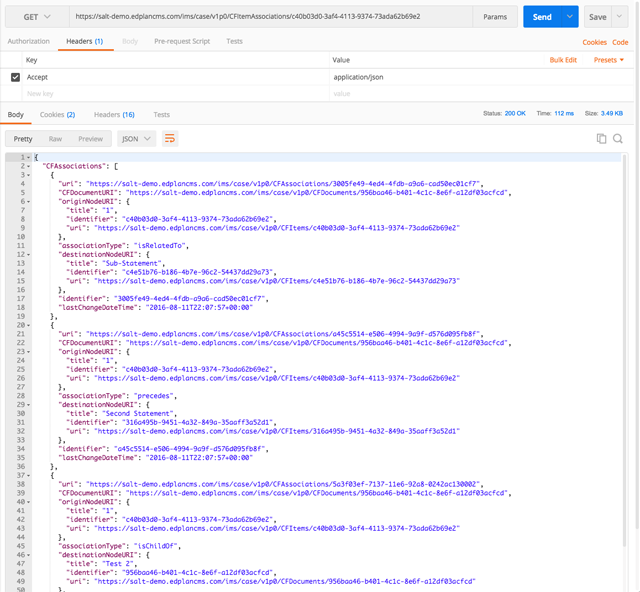 At this point, you could import the entire json payload into the consumer and parse the data to display the standard in your native interface or store the data to use for alignment metadata within your object repository. At this point, as a service consumer, you would have the necessary data to make basic relationships both within and across standards as well as the descriptive metadata to display within your system. 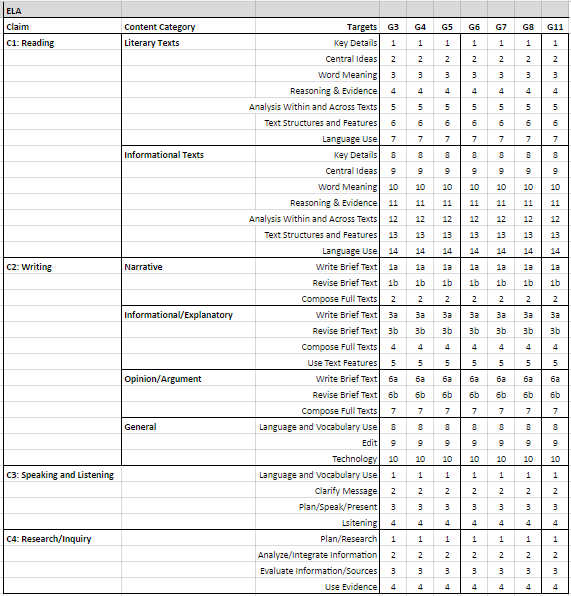 A student dashboard needs additional information relative to a particular competency managed in a secondary tool. A organization reads (GETs) a single Competency Framework Item from another organization or internal system. Provider and Consumer - for example, could be an external vendor, LMS, another institution, employer, organization, an internal institutional application, etc. Consumer 'calls' the Provider's service to Get CFItem. Student dashboard needs competency information and makes request by CF Item sourcedId. Consumer knows the URI of the Provider's CF Item along with the service endpoint. 1. Consumer system/service will initiate a call to the Provider's system/service. 2. Consumer will request a payload from the Provider where the Consumer only supplies the CF Item sourcedId. 3. Compliant JSON payload will be generated by Provider based on a lookup of the CF Item by the CF Item sourcedId. All necessary data points associated with the CF Item included in the payload. 4. Provider sends the payload to the Consumer. 5. Consumer receives the JSON payload. 6. Consumer processes the payload successfully. a3. Error occurs, and Provider replies with an error including a payload using the imdx_StatusInfo structure to the Consumer. a6. Error occurs, and Consumer replies with error code to Provider. CF Item Payload is successfully transferred from Provider to Consumer via CASE compliant services. CF Item Payload is not successfully transferred. CF Item sourcedId is not found. An adaptive learning tool needs additional information concerning a particular competency association managed in a secondary tool or a student dashboard needs to identify the program outcome associated with a particular competency. A organization reads (GETs) a single Competency Framework Association from another organization, or internal system. Consumer 'calls' the Provider's service to get a specific CF Association. Student dashboard needs a specific relationship (set of information) for a CF Item, such as an Academic Program, and makes request by CF Association sourcedId. Consumer knows the sourcedId of the Provider's CF Association along with the service endpoint. 2. Consumer will request a payload from the Provider where the Consumer only supplies the CF Association sourcedId. 3. Compliant JSON payload will be generated by Provider based on a lookup of the CF Association by the CF Association sourcedId. All necessary data points associated with the CF Association included in the payload. CF Association Payload is successfully transferred from Provider to Consumer via CASE compliant services. CF Association Payload is not successfully transferred. CF Association sourcedId is not found. A learning module needs to be configured relative to a competency's hierarchical relationships managed in a secondary tool. A student dashboard needs to display all of a competency's associations managed in a secondary tool. A organization reads (GETs) all Competency Framework Associations from another organization, or internal system for a specific CF Item. Consumer 'calls' the Provider's service to get all CF Associations of the CF Item. Student dashboard needs all the relationship information for a CF Item, such as an Academic Program, and makes request by passing the CF Item sourcedId. Consumer knows the sourcedId of the Provider's CF Item along with the service endpoint. b. CF Association records (associated to the CF Item) returned in the payload. CF Item and all associated CF Association records included in payload is successfully transferred from Provider to Consumer via CASE compliant services. Â· CF Item and CF Associations Payload is not successfully transferred. CF Association records not found. 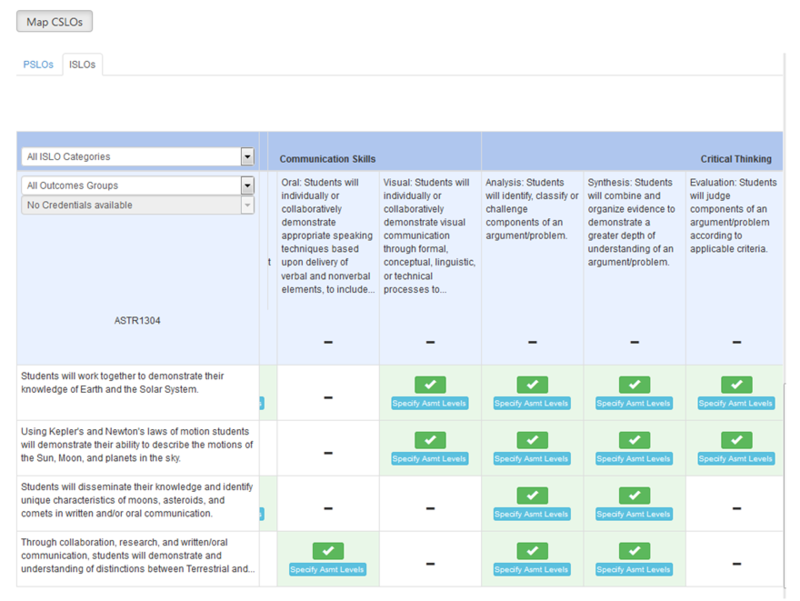 A student dashboard needs to display a specific rubric managed in a secondary tool. A organization reads (GETs) a specific Rubric from another organization, or internal system. Provider and Consumer - for example, could be Vendor, LMS, Institution, Employer, Organization, Internal, etc. Consumer 'calls' the Provider's service to Get a Rubric. Student dashboard needs a specific Rubric, and makes request by Rubric sourcedId. Consumer knows the sourcedId of the Provider's Rubric along with the service endpoint. 2. Consumer will request a payload from the Provider where the Consumer only supplies the Rubric sourcedId. 3. Compliant JSON payload will be generated by Provider based on a lookup of the Rubric by the CFRubric sourcedId. All necessary data points associated with the Rubric will be included in the payload, including the following. a. CFRubric, CFRubricCriterion, and CFRubricCriterionLevels data. Note: This leads to a multiplicity effect in number of records within the payload. b. Any related CF Items sourcedIds (or fully articulated object), if available. ii.Only one CF Item can be related. c. CFDocument Title and sourcedId. 3. Provider sends the payload to the Consumer. 4. Consumer receives the JSON payload. 5. Consumer processes the payload successfully. Rubric Payload is successfully transferred from Provider to Consumer via CASE compliant services. Rubric Payload is not successfully transferred. CFRubric sourcedId is not found. A student advising tool needs to access a program's competency framework document managed in a secondary tool. A organization reads (GETs) a specific Competency Framework Document from another organization, or internal system. Consumer 'calls' the Provider's service to Get a CF Document. Student advising tool needs to get a CF Document. Consumer knows the sourcedId of the Provider's CF Document along with the service endpoint. 2. Consumer will request a payload from the Provider where the Consumer only supplies the CF Document. 3. 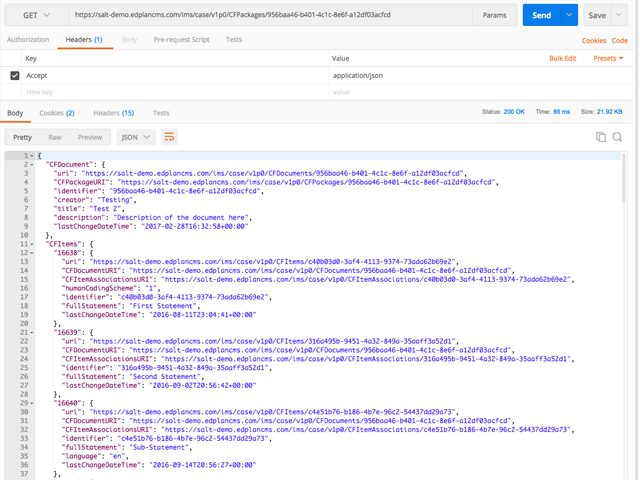 Compliant JSON payload will be generated by Provider based on a lookup of the CF Document by the CF Document sourcedId. All necessary data points associated with the CF Document will be included in the payload. CF Document Payload is successfully transferred from Provider to Consumer via CASE compliant services. CF Document Payload is not successfully transferred. CF Document sourcedId is not found. A learning management system needs to be configured relative to competency framework documents managed in a secondary tool. A organization reads (GETs) all Competency Framework Documents from another organization, or internal system. Consumer 'calls' the Provider's service to Get all CF Documents. LMS needs to get all CF Documents from another system. Consumer knows the Provider's End Point. 3. Compliant JSON payload will be generated by Provider based on a lookup of the CF Documents. All necessary data points associated with the CF Document will be included in the payload. 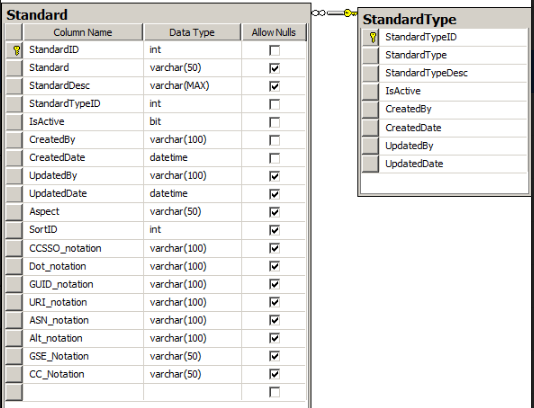 a3.1 Producer generates the payload according to the query parameters requested. CF Documents Payload is successfully transferred from Provider to Consumer via CASE compliant services. A learning management system needs to be configured relative to a program's competency hierarchy and associated rubrics managed in a secondary tool. A course needs to be configured relative to the competencies, rubrics, and criteria associated with a competency framework document managed in a secondary tool. A curriculum management tool needs to be configured relative to the contents of a competency framework managed in a secondary tool. Reading an entire Competency Framework Package. 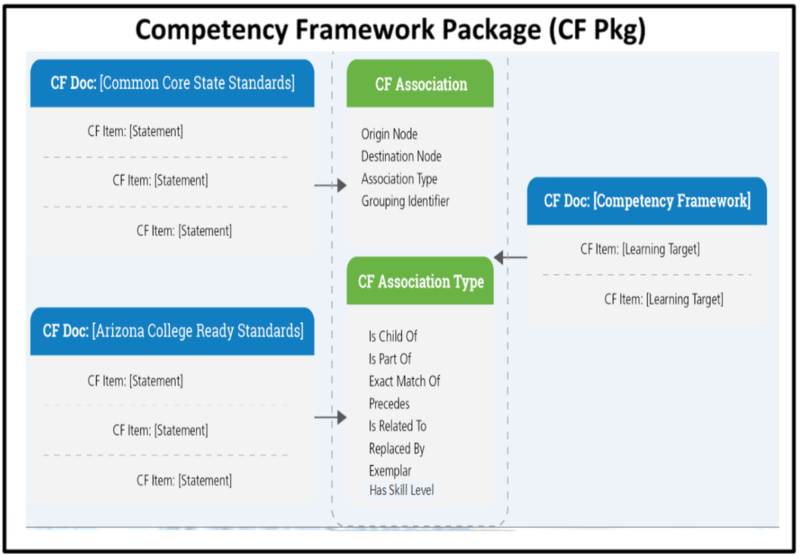 A organization reads (GETs) all Competency Framework records associated with a CF Package from another organization, or internal system. LMS needs to get an entire CF Package, including CF Document, CF Items, CF Associations, CF Definitions, CF Concepts, CF License, CF Association Groupings, CF Subjects, Rubric part, Rubric, RubricCriteria, and Rubric Levels, from another system. 2. Consumer will request a payload from the Provider where the Consumer provides the CF Document sourcedId. 3. Compliant JSON payload will be generated by Provider based on a lookup of the CF Packages. All necessary data points associated with the CF Packages will be included in the payload. CF Package Payload is successfully transferred from Provider to Consumer via CASE compliant services. CF Package Payload is not successfully transferred. The fundamental operation when working with CASE is "Get CFPackage" which is asking an endpoint for an entire framework, the document and all related items, associations and vocabularies. Digital credentials increasingly contain competency statements. When those competency statements have CFItem URIs, services can help interpret the competency statements by reading the CFItem payload. Such as, a competency statement may have an association to a competency in a third-party framework. For example, a student's transcript may contain a record for the CFItem fullStatement "Communicates effectively", which also has the following CFItem URI "http:asdfasdfasdf.acomcasdihaods". Referring to a CFItem in a transcript should be a simple as including the CFItem URI and ID (usually the same) in the transcript. Additionally, the transcript should include a reference (URI) for the document and/or package from which the item(s) are referenced from. Use the Document to get the full package as described above. 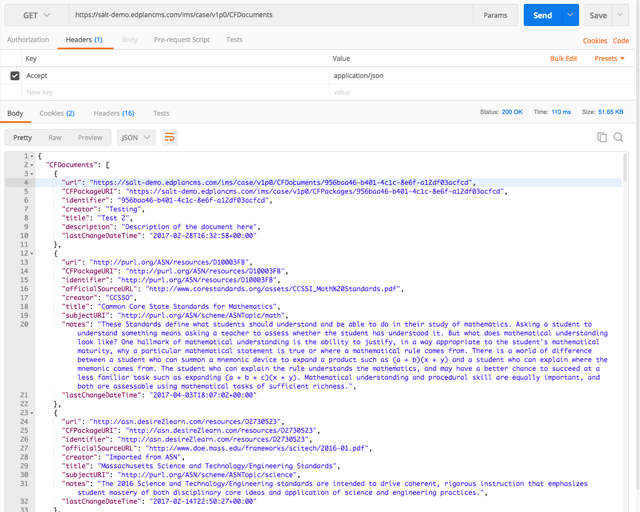 The json payload is ingested and parsed into the data structures native to the object repository and displayed for use in aligning content and/or displaying the standard descriptions. An assessment specialist wishes to populate a scoring guide tool with a rubric authored in a 3rd party authoring environment. A university administrator wishes to populate a learning management tool with a set of curricular competencies managed in a separate curriculum authoring tool. Advice: In this scenario, a CF package can be defined to exchange these competencies between the tools. A CF Document is defined for the course and each competency references this document directly via a CFDoumentURI. A university administrator wishes to populate an enterprise reporting tool with a learning outcomes of a particular specialization managed in a separate curriculum authoring tool. Interpret clinical nursing practice through the lens of nursing informatics. Integrate concepts of meaningful use into nursing informatics practice. Lead the nursing informatics lifecycle. Optimize workflow to maximize the impact of nursing informatics. Integrate information technology to align with nursing practice. Advice: In this scenario, a CF package can be defined to exchange these specialization outcomes between the tools. A CF Document is defined for the specialization and each specialization outcome references this document directly. An instructional designer wishes to document how course assessments relate to course objectives and institutional student learning outcomes managed in a separate curriculum authoring tool. Advice: In this scenario, a CF package is defined with two separate documents. The institutional student learning outcomes document contains CF Items at two hierarchy levels a group level and a outcome level. The ASTR1304 document contains objectives. 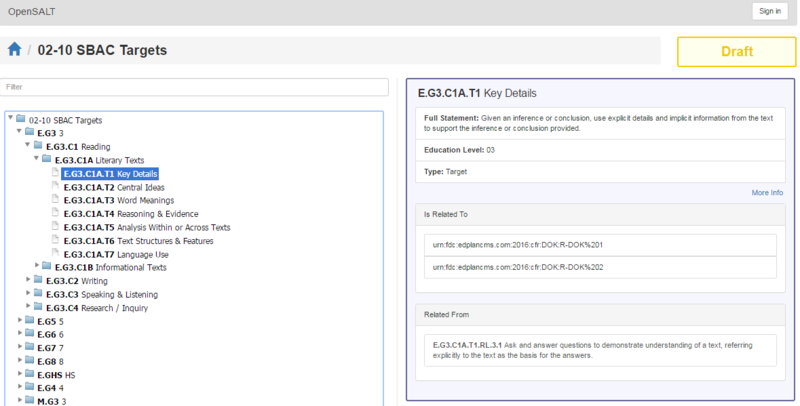 The assessment tool reads the payload to populate the grid and supports users in documenting how assessments are associated with CFItems in each of these documents. This section contains recommendations and findings for individual fields within the specification. While the published standard set for an organization may have a taxonomy with items included, it may not have an explicit hierarchical structure that that can be modeled within CFAssociations. Consequently, additional organizational nodes that would never be correlated to may need to be created within CFItems. The MTH.15.9-15.F CFItem had to be added in order to create a parent structure the MTH.15.9-12.F.BF and MTH.15.9-12.F.IF nodes could be a isChildOf in CFAssociations. This optional property allows for distribution of preferred terminology from the competency management system to other assessment tools. At the top level, a CFItem can be termed a standard objective, learning outcome (with specific variations like course or program), or a skill in a vocational context. This allows for decoration of the CFItem aside from the hierarchy but should only be used as a visual cue- not as distinguishing property. Because this is a visual label, the value can vary based on a number of factors including localization needs for multiple language support. For example, "Alternate label is not static for a given CFItem. The alternatelabvel can change independent of the CFItem. Use case could be representing in Spanish." The intent of this field is to help identify a sequence order in a given CF Doc based on the order of items within the source document. This will normally be either a CFItem or CFDoc identifier. In cases where external (AB, ASN, EdGate) identifier associations are needed, those identifiers would be in this field. Definitions and examples are provided [??? ]here, earlier in this document. It is a best practice that in digitizing competency and academic standards frameworks, creators should review and adhere to any relevant and existing copyright. The CF Spec relies on a transitive trust model where a CF Doc publisher ultimately decides what other CF Docs to which links will be established to internally and externally. Consequently, by virtue of the transitive trust, the publisher then trusts that the external CFDocs it associates with and in turn is selective about which external CF Docs alignments are made. Versioning overview. Versioning is to be managed by new CFDOC definitions. Given the three defined Adoption Status values, this means that for each status only specific functions should be allowed per the specification. *At this point, the defining attributes of the deprecated CF Doc need to be locked. They can be used, by other new documents, but they cannot be changed.. this is to allow historical reference. If an organization is redefining their defining attributes, they need to establish new hierarchies to support those changes in order to ensure historical reference This speaks to the importance of establishing a best practice for defining hierarchy values. The main goal is to develop a specification that enables consistent digital standards interoperability between curriculum standards/competency framework developers, content publishers, and third party education vendors. Support for extension of published competencies with traceability and version control to the original canonical frameworks. 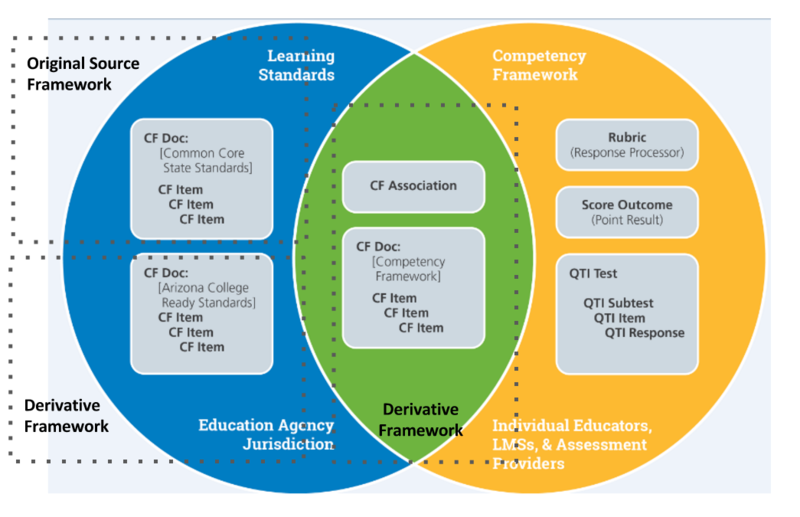 State DOE accesses published national competency framework s in order to cross-align. This would allow more efficient sharing and reuse of available materials within and across organizational / state boundaries and an immediate increase in available, correlated digital resources from content publishers. 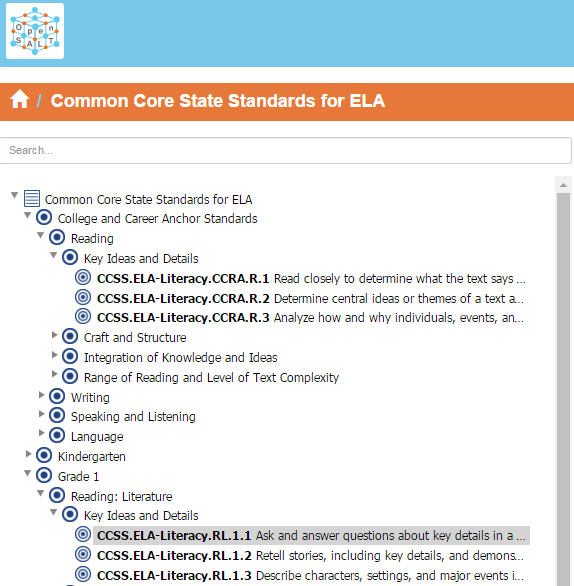 District Curriculum accesses published state competency frameworks in order to cross-align. This would allow a direct link from district to state standards (a process generally already required) in a consistent, open format. Content Publisher accesses education agency competency frameworks in order to facilitate consistent content creation and correlation efforts. This would support Common Cartridge , QTI, LRMI, LTI, and Caliper development delivery efforts. Third party accesses education agency competency frameworks in order to dynamically align correlated content to customer centric curriculum standards requirements. This section contains examples drawn from four recent pilots. Texas Education Agency (TEA) and Houston Independent School District (HISD) Proof of Concept . TEA created a machine readable version of the Texas Essential Knowledge and Skills (TEKS). 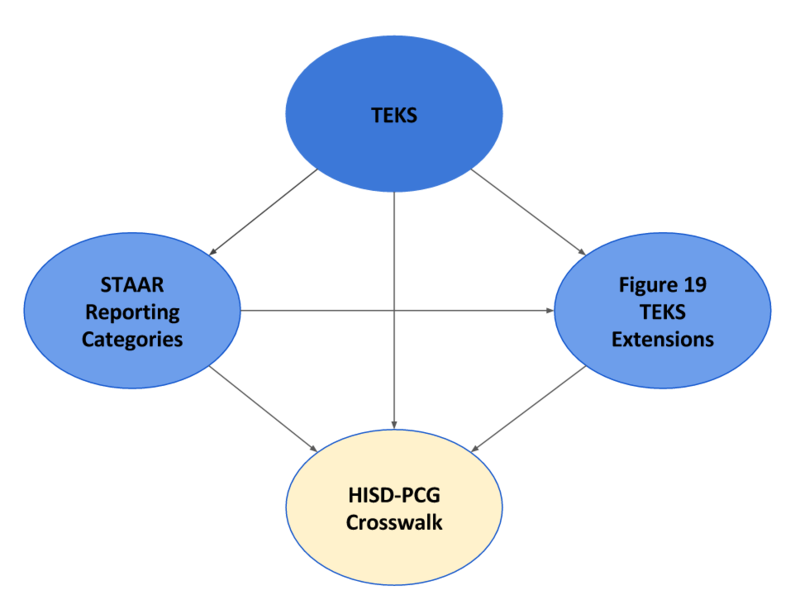 HISD, in parallel, created a crosswalk between the Texas Essential Knowledge and Skills with the State of Texas Assessments of Academic Readiness Reporting Categories. Georgia Department of Education (GADOE) and Gwinnett County Public Schools . GADOE and Gwinnett have demonstrated a crosswalk between the Georgia Standards of Excellence and the Gwinnett Academic Knowledge and Skills. Wisconsin Social Studies Framework . 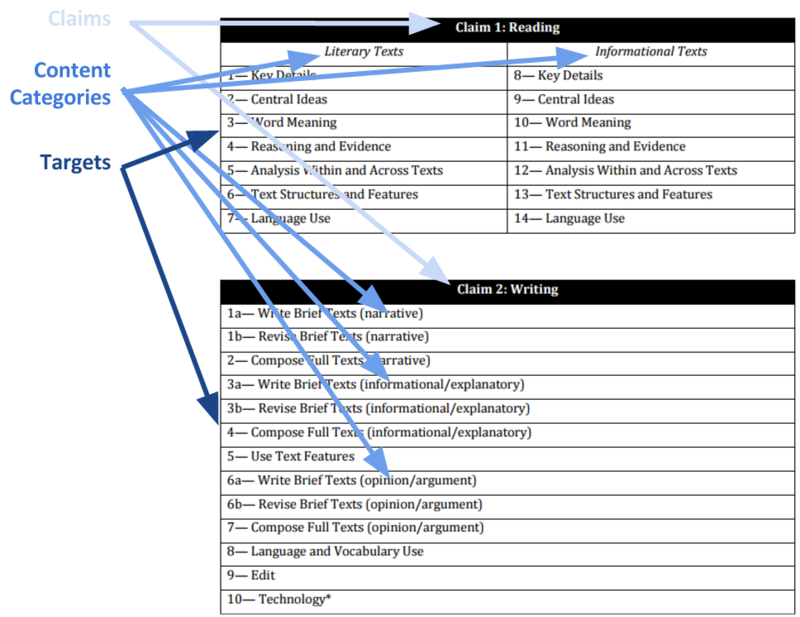 The Wisconsin Department of Public Instruction created a machine-readable CASE package for its Social Studies Framework. 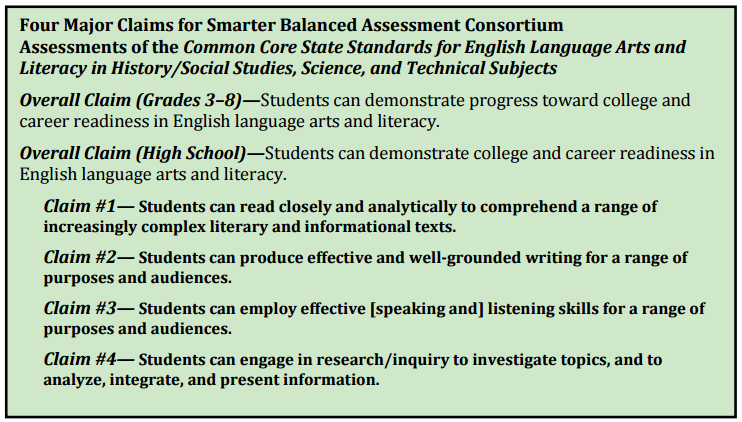 Smarter Balanced has developed content specifications in English language arts/literacy and math to ensure that the assessments cover the range of knowledge and skills in the Common Core State Standards. The content specifications serve as the basis for the Smarter Balanced system of summative and interim assessments and formative assessment support for teachers. There are two main types of item specifications,Computer Adaptive Testing (CAT) and Performance Task (PT). (ALDs) are a means of describing performance on a standardized test in terms of levels or categories of performance. For the Smarter Balanced assessments, outcomes will be reported in terms of four levels of achievement: Level 1, Level 2, Level 3, and Level 4. The ALDs are text descriptions of the knowledge, skills, and processes demonstrated by students in each category of performance. Figure 7.3: Claims separated into domains with an abbreviation of the target. Given an inference or conclusion, use explicit details and implicit information from the text to support the inference or conclusion provides. There are two major sources of information regarding student learning standards in Texas. TEKS is a document divided into Chapters, sub-chapter and sections at a high level. 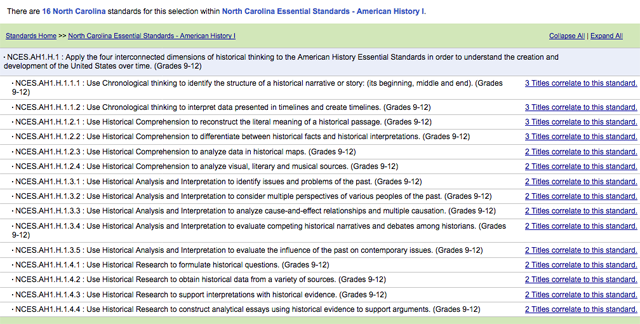 Chapters represent content areas, and sections represent a single subject and grade level set of standards. 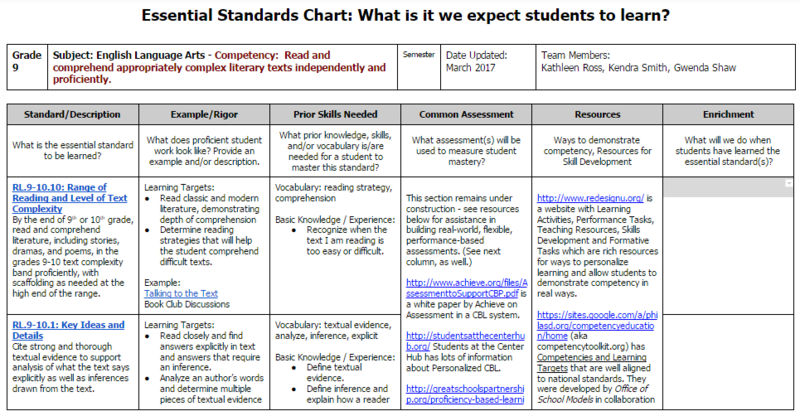 Within sections, the standards are composed of knowledge and skill (K & S) statements with student expectations shown as sub-elements of the K & S statements. STAAR Assessed Curriculum Guides build upon TEKS. Each guide is broken down by the Subject and Grade of the summative assessment area covering the selected standards. Typically, these correspond directly to Chapter and Section of the TEKS. With the guide, standards are grouped by Reporting Categories - which are considered the lowest level of comparable score reporting achieved through the summative testing process. Student expectations are classified as to whether they are considered a Readiness Standard or a Supporting Standard. Not every TEKS standard of a given chapter and section is necessarily represented in the assessed curriculum guide - although most are. This pilot focused specifically on testing the digital ecosystem the CASE specification would enable. This pilot included Gwinnett County Public Schools, HMH, D2L and Safari Montage within its scope in order to better ascertain challenges around interoperability within both the spec and implementations of that spec. Through the course of the pilot, 5 separate systems exchanged / ingested CF Docs in order to simulate a content alignment lifecycle from standards publishing at the national (CCSO), state (GA) and district (GCPS) level, through content development and standards alignment via Common Cartridge (HMH), to LMS integration (D2L & Safari) . The final success of this pilot showed that implementation of final CASE specification can significantly simplify digital content alignment for publishers allowing for a far wider range of custom / adaptive learning opportunities for education organizations. Once the servers were in place, team members on the State instance used the Cross Mapping tool within Axiom to create exactMatchOf associations between the state standard set and the equivalent national standard set. The district teams did the same cross mapping between the district instance and the state instance. At this point, via the CASE spec, the relationship between the district level standards and the national standards can be understood and followed from tone instance to the next via various API calls between the instances. Validation 1: Direct standards access. To test the practicality of the model, HMH then introduced a Common Core aligned Common Cartridge 1.2 . This cartridge only had content correlations aligned against identifiers in the National Axiom instance. As such, the CC, if ingested into a LMS like D2L or Safari would not be able to recognize the correlations contained within the CC and would then be of limited instructional value to educators. 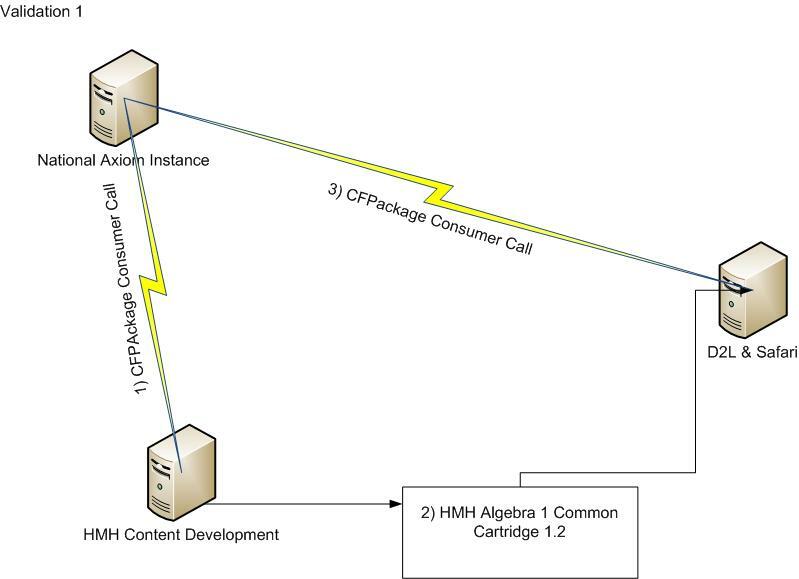 At this point, both Safari and D2L implemented CFPackage consumer services that could dynamically target an Axiom instance and ingest the applicable CF Doc allowing these platforms to natively recognize the referenced standards within the provided CC package and present those standards to the LMS users. Validation 2: Standards exactMatchOf tracking. 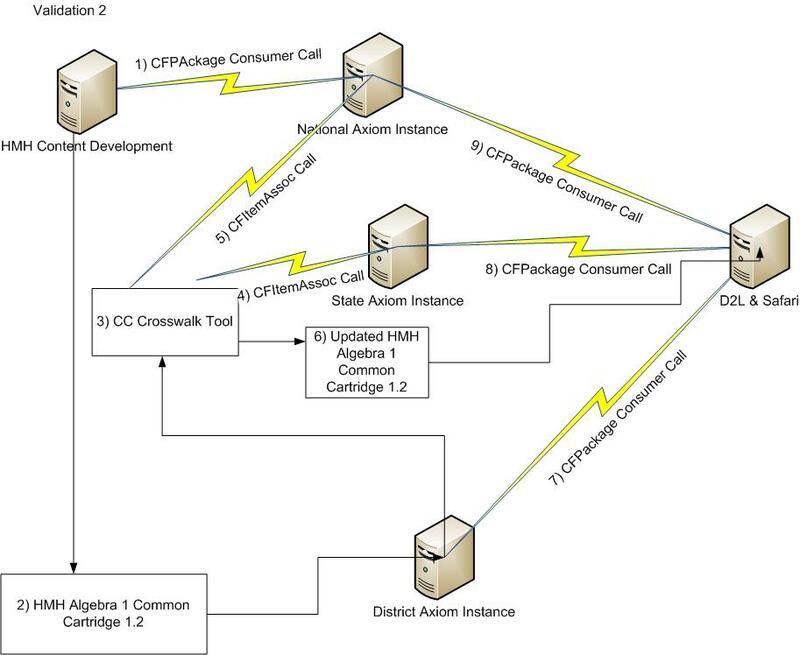 In order to facilitate State and District level standards needs, HMH provided an additional POC tool within Axiom that allowed a Common Cartridge to be targeted against a specific CF Document. This tool would then follow exactMatchOf associations from one Axiom instance to another into order to find all equivalent standards among the various instances. It then updated the Common Cartridge payload to include the newly discovered equivalent standards within the CC and delivered that package back to the user. The new package that previously only included correlations to national standards now included correlations to state and district standards as well. That package was then successfully ingested into Safari and D2L and each LMS in turn used CFPackage calls to the appropriate Axiom instances in order to understand what those correlations were so they could be rendered for users. Summary: The IMS Competencies and Academic Standards Exchange Service is used to exchange information about the learning and education competencies. 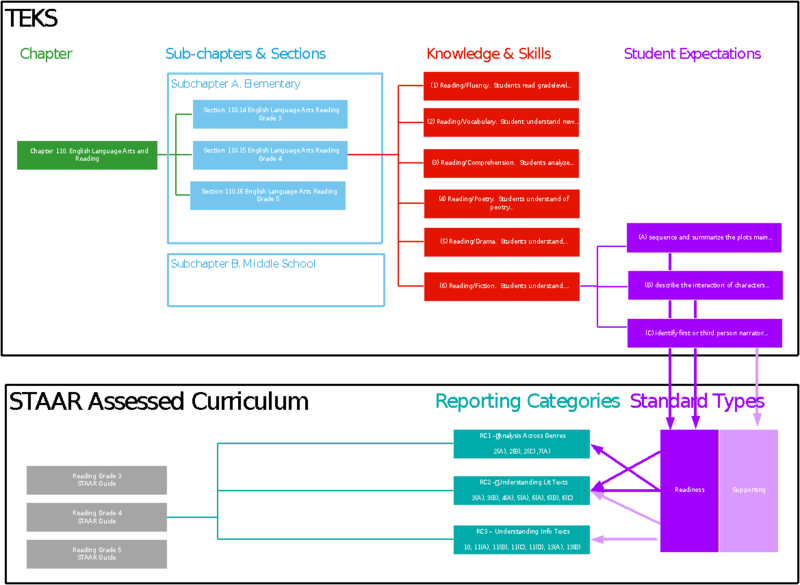 This standard defines a set of data models for competency frameworks, competency documents, competency definitions, competency associations, rubrics, rubric criterions and rubric criterion levels. It also describes how this data can be exchanged using a set of service calls. This document contains the best practice recommendations when adopting the specification. Revision Information: First release of this specification. Base Document Draft 1 7th January, 2017 Introduces the basic table of contents. Final Release 1.0 7th July, 2017 The first formal Final Release that is ready for public adoption and implementation. IMS Global Learning Consortium, Inc. ("IMS Global") is publishing the information contained in this document ("Specification") for purposes of scientific, experimental, and scholarly collaboration only.